Focus on your passion. Let us streamline your records so you can keep doing what you love. We act as the central platform for all your medical record compliance data, keeping it safe and secure. Filling out the medicines register takes time & effort. 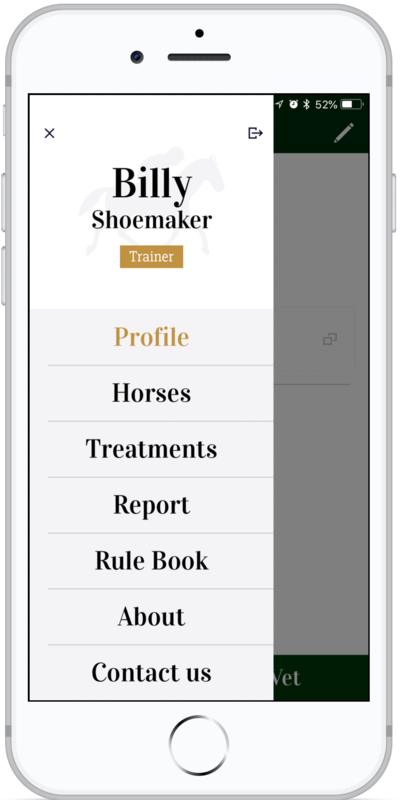 Equine MediRecord will make it much faster to record all treatments administered in your yard, allowing you to effortlessly comply with regulation. You can now control and manage medicines record administration in real time. Automatically get sent notifications when regulation changes, or when your vet has administered medication to a horse under your care. Know at a glance when your horses are able to race.